It is that time of year again! 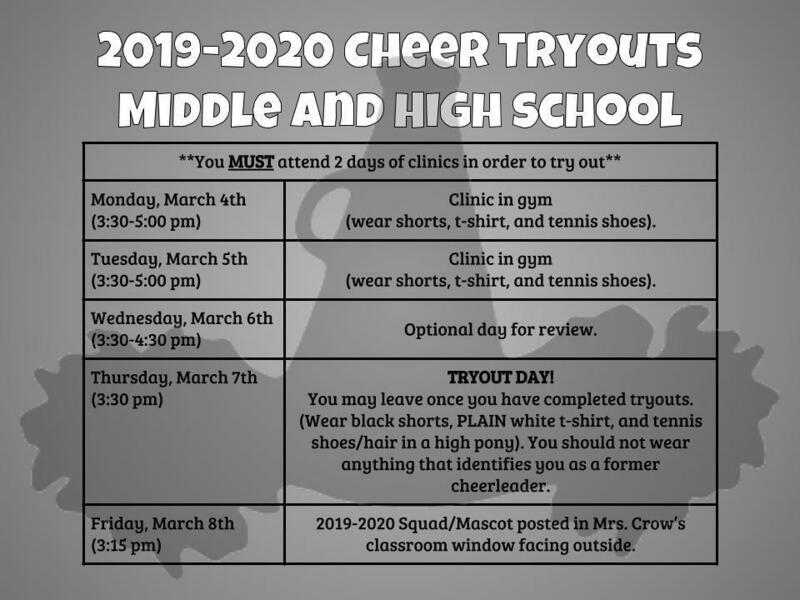 Middle school and high school squad and mascot tryouts! There will be an informational meeting, held in the commons, during seminar on Thursday, February 25, 2019 to receive packets.